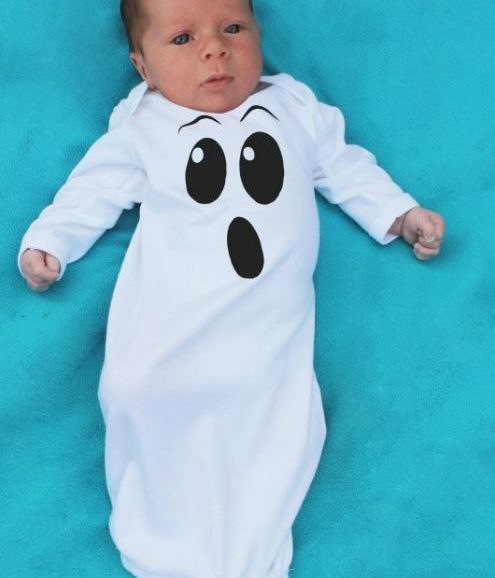 A geek baby grow for your very own baby version 1.0 to keep them in style whilst they will develop new features with semi-automatic upgrades, a great upgrade to your kid’s geek baby clothes collection. 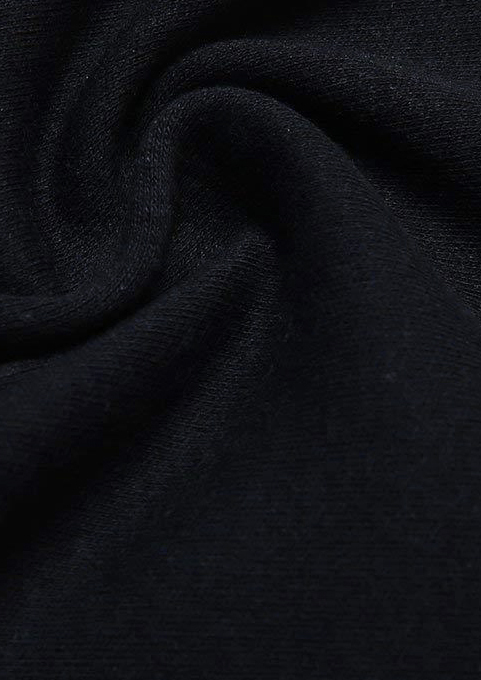 Beautifully soft baby grow in soft black cotton that’ll keep your baby happy & comfy. 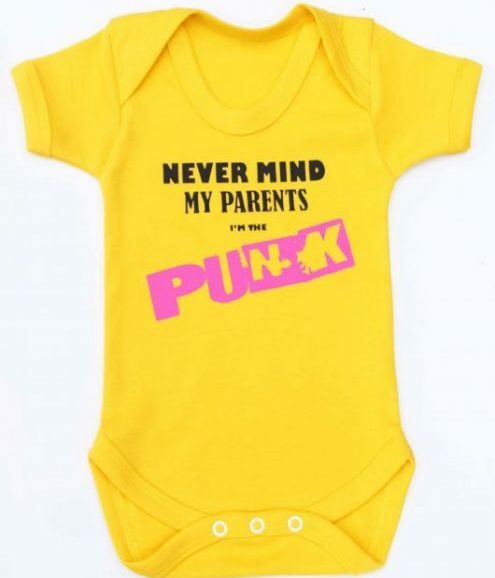 Funny ‘version 1.0’ geek inspired slogan to front of this fun baby vest. Poppers at crotch of vest make the clothing install glitch free. The envelope neckline makes it easy to install over your baby’s head. 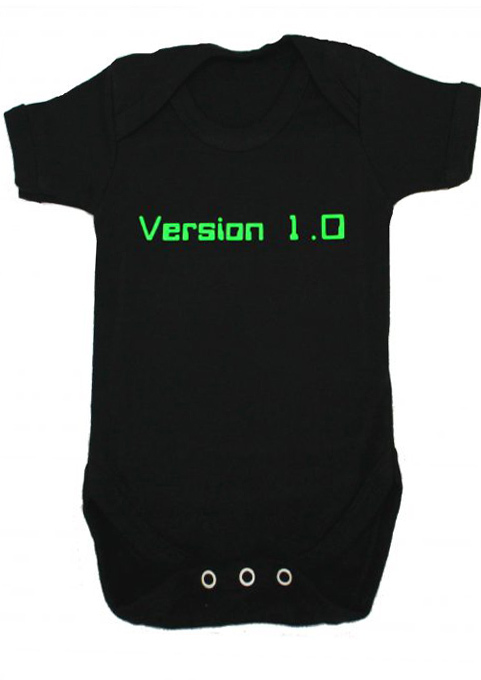 A simply perfect nerdy baby gift for any techy new parents. Just wanted to say thank you for the speedy efficient service. 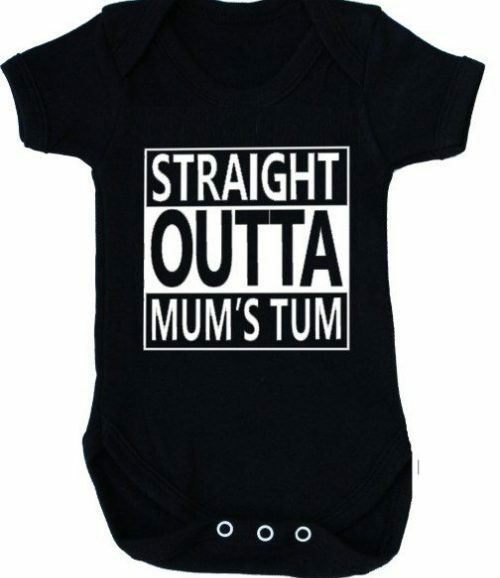 I only placed the order yesterday and already have the baby grows. The gift wrapping is a real nice touch as well, handy as they’re for my friends baby.